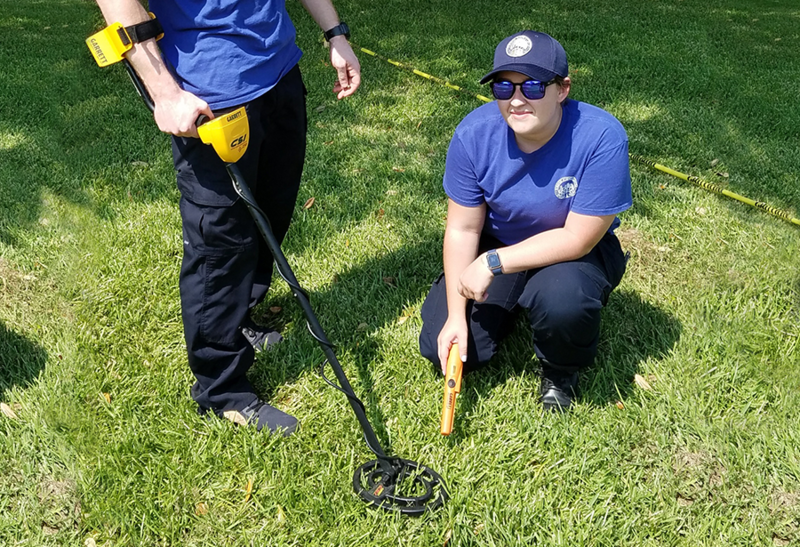 Crime Scene Metal Detector Operations will provide the crime scene investigator with a basic understanding of the nomenclature and operation of metal detectors. This course will also teach the techniques needed to successfully locate metallic items of evidence such as, but not limited to, firearms, projectiles, and shell casings. This training will permit the investigator to find more evidence and/or find the evidence more quickly. 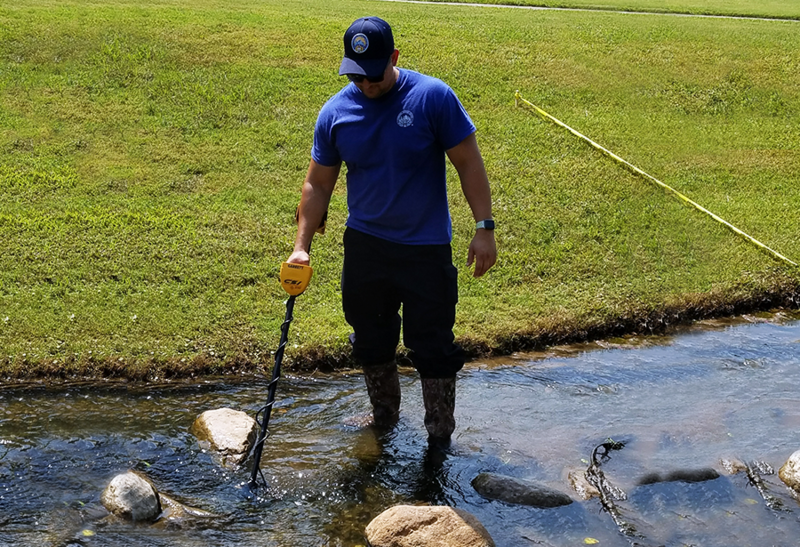 ​​Equipment Requirements: Garrett CSI 250, Garrett CSI Pro, or Garrett AT Pro, accompanied by a Garrett Hand-Held Pin-Pointer Metal Detector, Metal Detector Headphones, and a Handheld digging Tool. ​Practical Exercise: The topics presented in this class will be evaluated by written tests and performance evaluations during the entirety of this course. ​I have been a CSI for 9 ½ years. I have processed hundreds of shooting scenes. (The instructor), Sgt. Volek, has taught me valuable tips to better recover ballistic evidence on crime scenes. Regardless of your experience, I highly recommend this course. This course will give you the confidence you need while utilizing your metal detector on shooting scenes. (The instructor), John (Volek) was wonderful. I know he asked for some negative feed so he can make his course better. Unfortunately, I don’t have any to provide. I thought John was great, knowledgeable, and a pleasure to be around. The love and passion he has for what he does really shows. Great class. Allows the operator the added capabilities to better understand the use of metal detection devices and their applications in a CSI/law enforcement environment. I thoroughly enjoyed this class. I’ve used my metal detector before and I have found guns, shell casings, and knives. But it was painstaking, and honestly more about luck than skill or knowledge. Now that I have attended the course, I feel much more comfortable and competent when using my equipment. I know that this will help me locate more evidence, and much more quickly and efficiently. Very fun class. (It was) a course that was relevant, hands on, and practical that can help a new person to metal detecting and also help a person like me with prior metal detecting knowledge. Great teaching. (The instructor is) very knowledgeable on metal detecting and how it relates to law enforcement. Answered all questions that were asked, even from me who has prior metal detecting knowledge. (I'd suggest offering) more of these classes and to be able to have these classes throughout the country (Northeast), and maybe also an advanced class if needed.